Now for the first time, CBC can reveal how Lyle and Marie McCann might have died. 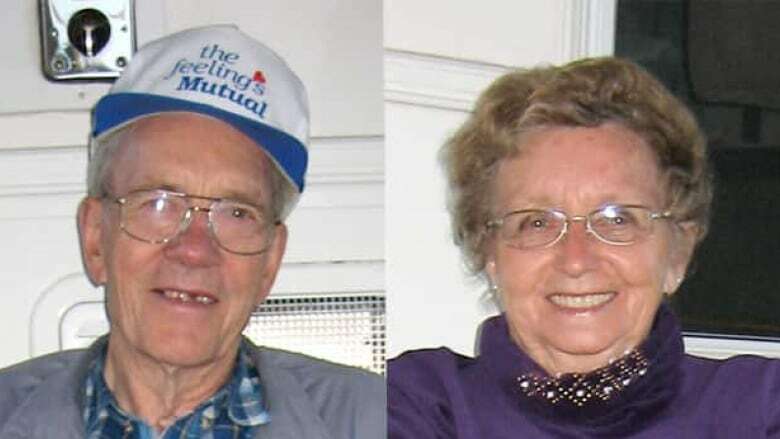 Buried in a small mountain of RCMP disclosure documents are chilling details about the forensic evidence found inside the elderly couple's SUV. Forensic evidence allegedly ties murder suspect Travis Vader to Lyle and Marie McCann, an elderly St. Albert, Alta., couple who police believe were slain. Details of forensic exams on the couple's motor home and SUV were released today when a publication ban was lifted in Court of Queen's Bench in Edmonton by Justice Denny Thomas, who will decide if Vader's murder trial should go ahead next March. A hearing is currently being held as Vader fights for a judicial stay on the murder charges, with his lawyer citing an abuse of process. Vader is charged with two counts of first-degree murder in the deaths of the McCanns, who were last seen alive on Saturday, July 3, 2010. At the time, Lyle McCann was 78, Marie McCann was 77. Buried in a small mountain of RCMP disclosure documents are chilling details about the forensic evidence found in the elderly couple's SUV. 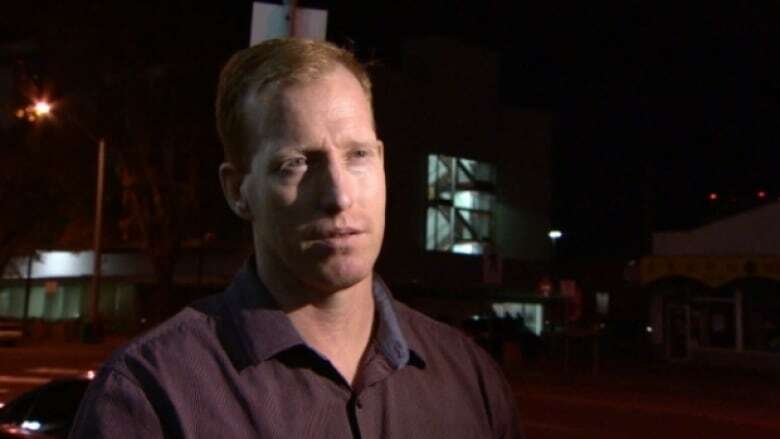 Travis Vader's lawyer is arguing in court this week for a judicial stay of proceedings against his client, citing an abuse of process by the Crown. (CBC)The McCanns' vehicle was discovered 13 days after the couple vanished. RCMP said officers located items inside the SUV "consistent with trauma to the McCanns, including the blood of Marie McCann and Lyle McCann's hat with a bullet hole on it." Very early in the missing persons investigation, RCMP identified Vader as a person of interest. But it took two years before he was charged with two counts of murder. A month before the trial was due to begin, the Crown stayed the charges in March 2014. At the time, Vader's lawyer Brian Beresh was livid. "If we ever discover that this step today is nothing more than an adjournment that wouldn't have been granted by the court, it would be in my view one of the most serious abuses ever in this country," Beresh said. Now the on again, off again trial is back on. The Crown resurrected the charges in December of 2014 and Vader's trial is set to begin March 7. Beresh continues to be sharply critical of the way the evidence was gathered in the investigation and in the strength of the case. When the charges were stayed in 2014, Beresh said: "It appears that the police rushed to a judgment very quickly without any solid basis and they never solidified that position." He added the evidence "was shoddily gathered and it was a bunch of strings that was never tied together." The filed documents are not evidence in the trial, but were provided to the defence last year. The package includes a summary about the case written by the Crown in December 2013. The documents allege Vader was using the McCanns' cellphone at approximately 2 p.m. on July 3. At 9:30 a.m. that day, Lyle McCann was captured on a surveillance camera at a St. Albert gas bar. The couple was en route to British Columbia. RCMP allege the McCanns were slain at or near Peers, Alta., on July 3. Two days later, the McCanns' burned out motorhome was found at a campsite just outside Edson. At the time, RCMP did not treat it as a crime scene. On July 16, the couple's Hyundai SUV was discovered 24 kilometres east of Edson. The Crown's written summary states: "Forensic evidence ties this SUV to Vader. Various items of evidence connect the motorhome scene to the SUV scene." Crown prosecutor Michelle Doyle told the hearing the forensic evidence was "critically important" to the case. She said "forensic evidence placed Mr. Vader at particular locations. Without it, we'd have a difficult time." The Crown and the RCMP admit the case is a circumstantial one. According to the Crown's summary, it depends on "circumstantial evidence, motive and exclusive opportunity, forensic evidence, and post offence conduct evidence, including communications intercepted" through a court order. The police disclosure package reveals heavy use of wiretaps. During the hearing this month, RCMP Sgt. Rick Jane said: "I believe there were three or four full blown wiretaps. I recall there were approximately 78,000 audio files." There was also a Mr. Big-like sting launched targeting Vader's sister, Bobbi-Jo Vader, in November 2011. The operation was called Kontrail IV. (There were a total of five Kontrail or undercover operations). It's unclear how Bobbi-Jo Vader was lured into the sting by undercover RCMP officers. It appears she socialized with them and performed some "work" for them. On one occasion, she travelled to Calgary with an operative, and stopped off at the Red Deer Remand Centre to visit her brother. "Bobbi Jo Vader was very willing and excited to transport package on train to Winnipeg. Objectives of scenario were achieved and Bobbi Jo did provide (undercover officer) additional information other than what she had provided to investigators. She said she believed that Travis was involved in the murders and she saw guns wrapped up in blankets that could have come from the McCanns' motor home." There are plans to call her as a Crown witness at her brother's trial. Even though it's been 5½ years since the McCanns were last seen alive, and tens of thousands of hours have been invested by the RCMP to investigate the case, next to nothing is known publicly about how or why the elderly couple became targets. When the McCanns' daughter, Trudy Holder of Calgary, first reported her parents missing in July 2010, police asked her if the seniors kept any weapons in the motorhome. According to the RCMP disclosure package, "She said her dad kept a full-sized axe under the chair by the door for protection and referred to it as the bear gun." Holder said her father had a number of guns, including a pistol and shotguns, but she didn't think he took any of those weapons with him. Holder also revealed her mother had a small derringer pistol she kept in an eyeglass case. "She kept it loaded, but Holder did not know if it actually worked. She described it as being about three to four inches long, with most of that being the handle. The handle was pearl and had a short muzzle," investigators wrote. Through his lawyer, Travis Vader once said he was eager to go to trial so he could clear his name. The McCann family hopes a trial will give them closure. "We are as a family eager for this to go to trial so we can finally find out what happened on July 3," Bret McCann said in a oral statement Tuesday. "I must say that this information is disturbing and distressing to my family." After so many years in the dark, a trial will finally give the public some answers about what happened.